Windows are often overlooked when it comes time to renovate your home. You only tend to notice them when they are dirty or cracked from wear. When air conditioning and heating is running through your home if you have outdated windows or glazing you could be losing so much money from energy lost. But don’t fret and don’t think about replacing those windows unless you absolutely have too. The better solution is to just get a glazing service to do a double glazing New Plymouth on your old windows. 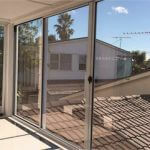 A double glazing New Plymouth is a cost effective solution to make your windows more energy efficient. How do you know if your window is better off being replaced or if a glazing service is right for you? Well I’m glad you asked. 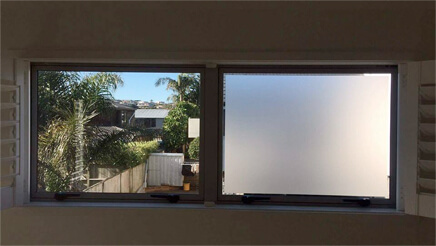 Often times the windows you have in your home are already in good shape and unless your framing is damaged or your glass is cracked a simple double glazing New Plymouth can save you the hundreds of dollars for the window and installation. A glazing service usually requires less construction and can be done much less invasive than installing a whole new window. The double glazing New Plymouth is energy efficient and low cost solution to keep your homes energy bill down. It cost less than replacing all of the windows in your home and it helps keep your energy bills lower from heating and cooling. It cost less to get a glazing done on your windows than it does to replace a whole new window and frame if your current windows are still in good condition. If your unsure weather your window is in good enough condition for glazing to make a difference a window company can come and inspect your windows to make the final decision. When you choose a glazing service for your windows you are also putting money back into your pocket long term. During the winter months you will be able to keep the heat in from you heating source and use it less. Likewise in the summer months you’ll be able to keep the home cooler and less cool air will escape from your windows. This will help keep your home more comfortable. It’s such a simple solution to such a big problem. So if your wondering what to do about your windows in your home, weather a glazing service is the right choice or if you should bite the bullet to purchase a new window all together consider weather your glass and frames are still in good condition. 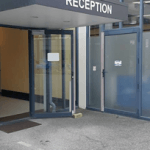 If they are then you are an excellent candidate for a glazing service to come in and make your windows more energy efficient at a better price. Don’t wait until your heating and cooling bill is sky high check your windows new and see how you can make them work better for your home.